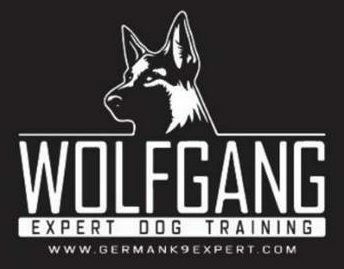 Wolfgang expert dog training specializes in customized K-9 training to best suit the needs of our client. Whether its a family of 5 that wants a well mannered pet with the ability protect, an adventurer that loves the outdoors and wants an obedient and just as adventurous companion to travel with, a farmer that needs his animals and land to be protected, to the busy businessman that needs his home protected, we custom-tailor your dog to fit right in to your lifestyle. We take pride in our training methods and treat each dog as if it was one of our own. All of our trainers here in the facility work very hard with each individual dog to ensure that the dog stays happy and confident and eager to learn because we know how important this new member of your family is and how important the safety of your family is. Our dogs are very responsive and are able to respond to a variety of commands. We believe our clients deserve the best, therefor we only offer the best. So allow us to bring you a dog that can adapt your everyday needs and to your way of life. Let our custom K-9 training result in your dream dog. Owning a Protection Dog should be a wonderful experience for you and your family but a hateful experience those who may threaten you. Your dog can be a loyal member of your family who is dedicated to protecting you. 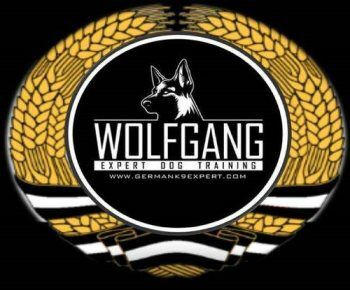 When it comes to our customized obedience training here at German K9 Expert, we make sure that your dog follows the basic commands and to be well-mannered during our sessions. It is a known fact that many dogs that wind up at the Humane Society are there because the owners never went to obedience training. We are passionate about obedience training dogs and we want to train your dogs to prevent them from ever having to the Humane Society. In our training, we do our best to know your dog's background, motivations, and expected reactions to certain stimulus. We present all of our techniques to you and dog so you all can bond form an everlasting friendship. We teach your dog simple commands for example "sit", "stay", "leave", "fetch", and "kennel", commands that you too can implement. In addition to our customized obedience training, we cover techniques such as clicker training, dog whispering, reward training, positive reinforcement and many others. We use these techniques for each and every dog and make sure which technique is appropriate for them. When your dog fully grasps our techniques and commands, we will coach you along in the process so you can take over and you and your dog will have a more enjoyable and fun relationship together in the future. With our customized obedience training, we also do our best to make your dog is safe around you, your family, your friends, and around other people. Understand that if your dog is not trained by a seasoned professional like us, your dog can be prone to biting, whining, and barking at your loved ones. We really want to make this clear. Our job is to not have your dogs become a nuisance to society to such an extent, that the community that you live in develops a distaste for your dog which will result in the likelihood of tough legal restrictions being placed. When it comes to our customized obedience training specifically for your dogs, we will teach your dog our world-class techniques to alleviate your dog's aggressiveness to your loved ones, to house train your dog, to stop fighting with other dogs, to stop the uncontrollable barking, to stop your dog from eating his own waste, to stop biting, nipping, mouthing problems and other embarrassing and annoying dog's behavior problems. A well-obedient dog is a so much pleasure to be around and it will never be a burden to you and your family down the line. You want a dog that's an excellent companion who exhibits a well-mannered behavior in a crowd, when you have guests in your home, who is reliable around children, and who does not get into fights. We want to reassure you that we will never mistreat your dog if they are disobedient in our obedience training. We are a patient bunch for we know what it takes time for your dog to understand the commands we present to them. There will be no yelling, hitting, shoving or any rough tactics to your dog on our end. If you are looking for dog trainer that's an expert in obedience training, contact us right now and have us train your dog. We will make sure your dog is best obedient dog in your neighborhood and community.